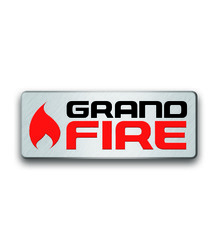 The combination of a Grandfire Kamado together with a Grandfire BBQ gives you the best gas and ceramic cooking right at your fingertips. 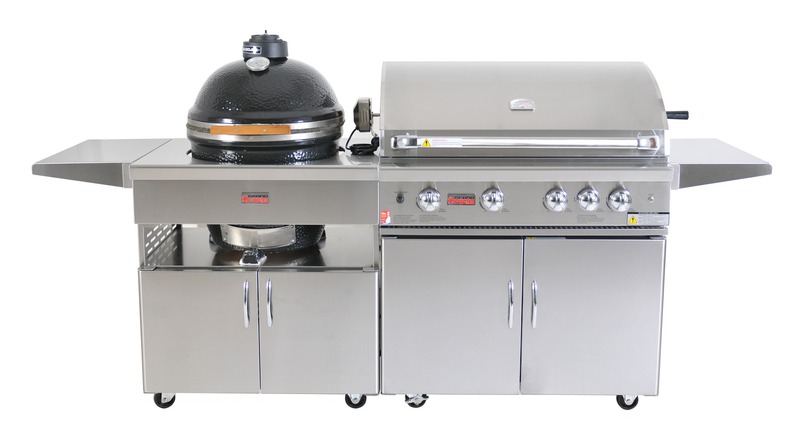 Have the choice of grilling for those quick meals and as a traditional BBQ, or roast and bake for those special occasions. 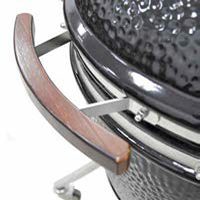 The GrandFire Kamado BBQ brings together these age old cooking techniques and blends them with todays technology. 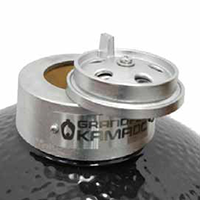 The amazing heat retention properties of ceramics enables temperatures up to 399 Celsius meaning the GrandFire Kamado can be used for cooking meats, smoking fish and even baking! 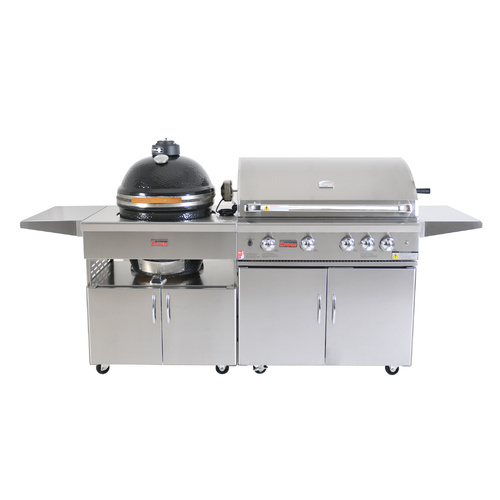 Semi-Circular 304 S/S grates and 3-tier rack enable multiple different cooking options. 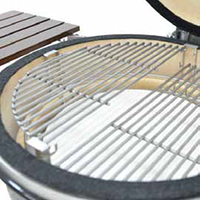 Semi-Circular adjustable ceramic heat deflectors provide combinations of direct or indirect heat, creating multiple different cooking styles in seconds. 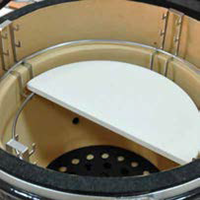 Internal Heavy Duty Ceramic surrounded by a heat-resistant glaze coated outer shell, provides full protection from any harmful external heat build-up. Large quick response thermometer with dual temperature indicator. 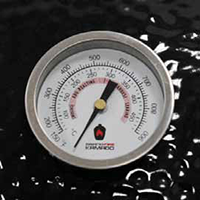 High Grade Stainless Steel top vent enables easy, responsive temperature control. 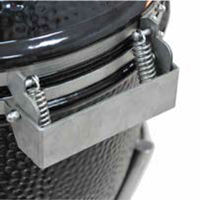 Lower vent control allows for additional fast effective temperature control with an easy removable ashtray. 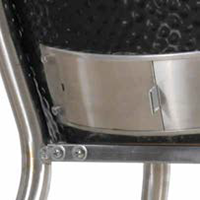 Heavy Duty 304 Stainless Steel Hinges and bands built to withstand heavy loads and tough environments. 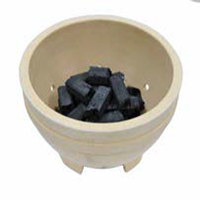 Heavy duty fire and heat resistant ceramic prevents structural cracking. 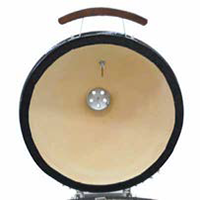 Curved sleek design made from tough, sustainable bamboo, never gets hot to the touch. 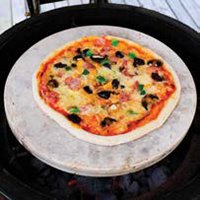 Perfectly sized ceramic pizza stone is included with every Grandfire Kamado.